L-R: STRANGE, DUST, BURNOUT, LIMIT, BUZZ, TRICK, NOONER, LIAR, FACTORY, MUGSHOT, DARKSIDE, BLACKHEART. Now I realise everyone and their gran has reviewed this palette, but I couldn’t resist joining in. One more review won’t hurt anyone will it? My Mum gave me the Naked 3 palette a few days after Christmas as Santa didn’t want it to get smashed up in the stocking and if you follow me on twitter or instagram you’ll have probably seen me totally freak out. 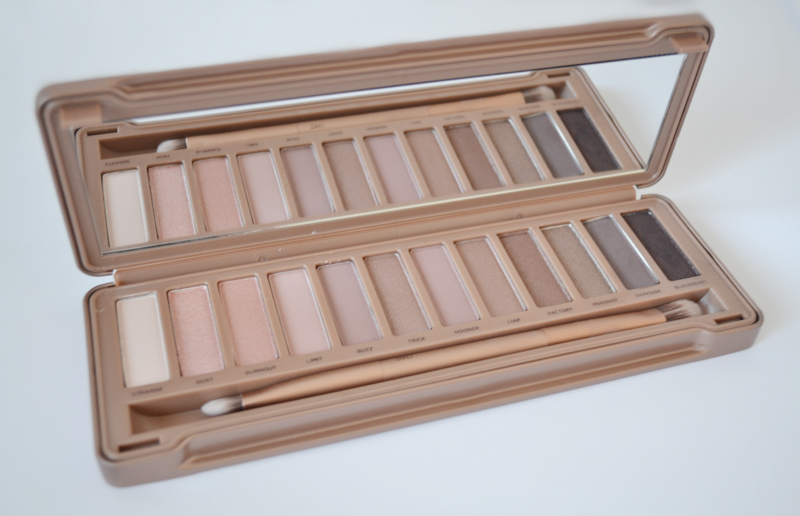 I’ve got the Naked Basics palette but Naked 1 and 2 have been on my wishlist for ages now, as soon as the third came out that also was popped on the wishlist, so to actually finally get one was pretty exciting for me. The Naked 3 Palette consists of twelve shades, three matte and nine shimmers, all of which continuing with Naked’s on going theme of neutrals. 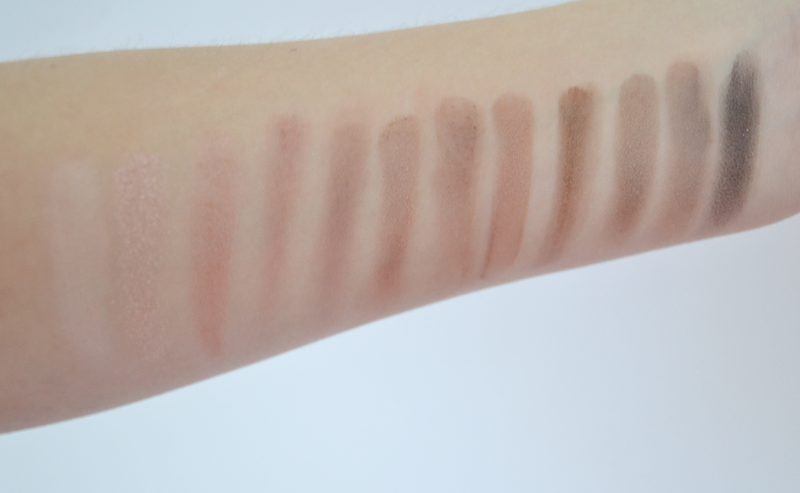 This palette, unlike the Naked 1 and 2 focuses more on the neutral pink shades, rather than the bronze/golds. The packaging follows on from Naked 2, a sturdy tin but this time with a ridged texture on the front. And as always, a large mirror and a double ended brush inside. The palette also comes with 4 samples of the famous Urban Decay Primers which claim to last you a week each. Now for the colours… Strange is a matte cream/peachy shade, perfect for the base of your shadow. Dust is a light pink shimmer, although I’ve found it’s hard to put all over the lid, it doesn’t seem to have great pigmentation and works much better just patting over your eyeshadow to give the finished look a bit more sparkle. Burnout, another peachy shimmer, slightly darker that Dust and much less shimmer. I feel like this is a good colour for the whole of the lid. Limit is a matte browny-pink, good for the crease, as is Buzz, although it has a little bit of shimmer, it’s varely noticable in this brown toned shadow. Trick is one of my favourites in the palette, a bronze shimmer shade perfect for a dirty gold smoky eye. Nooner is the third matte shade in pallete, a dark brown shade with a little bit on pinky-rose hidden within. Next, Liar, a shimmer with, you guessed it, pink undertones. I can’t decide what shade is my favourite, it’s between Factory and Mugshot, both bronze shimmers and very similar, just Factory being slightly darker. Darkside is a bit of an odd one out in this palette, being more grey than bronze/pink with some shimmer but perfect for the smoky eye. Finally is Blackheart, and boy is this shadow beautiful! It’s a deep purple with plenty of pink shimmers in it. I think I’ll be using the bronze shades a lot more than the pink, therefore think that maybe the Naked 1 or 2 might be more suited to me, but nonetheless I do adore this palette and can tell it’ll definitely get a lot of use out of it. It’s currently available for £37 in Debenhams and various other stores! "Garnier Soothing 2 in 1 Make-up Remover Review"